Since when it has turned into a hotel? No wonder I browsed through this photo gallery again and again to search for this rest house (and I told myself our super Kayes definitely has this pic.) At last I found this pic. hi Susan, I think the old Town Rest House was turned into a hotel sometime in 1995. Have you stayed there before? Have not stayed there before but had lunch (several times) at the restaurant on the first floor of the left building. hi Susan, here are three more recent pics for you, all taken on 18 October 2008 at about 1 pm. Thanks Kayes! Did you stay there or try the cafe's food? Is the hotel 3 or 4 stars? Didn't expect it has turned into a hotel! Have not stayed there but my Mat Salleh friend from London stayed there for a week when it first opened. He said the aircon was not cold enough. I have eaten there once sometime in 1997/8. Can't remember how the food was. 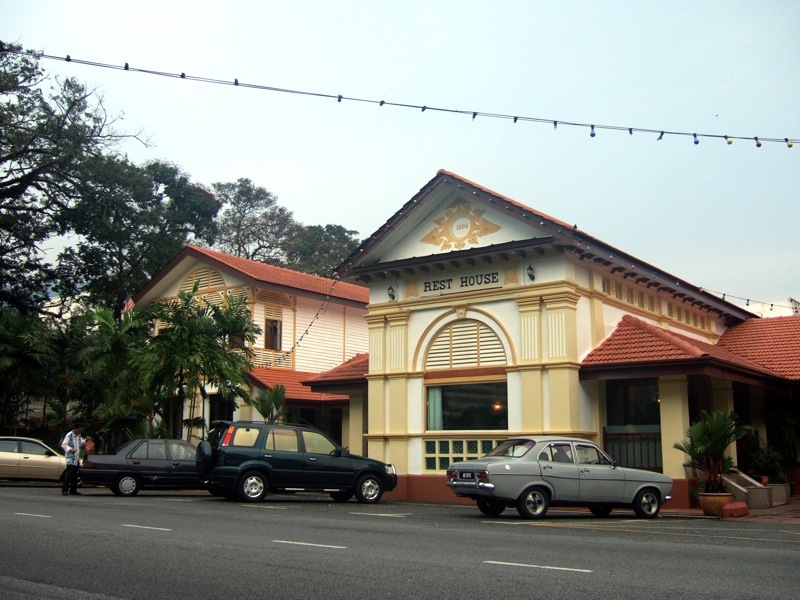 However, when it was still the rest house, I used to eat here whenever I was in Taiping. At that time, in the 70s, the caterer was a Hainanese couple and they had good stuff like chicken chop, beef steak, fried rice etc. Here's another pic I took on 18 October 2008. Yesterday, 5 November 2008, I was in Taiping and was surprised to see that the Lagenda Hotel is no more. All the signboards have been taken down and the entire building stripped of aircons, furniture & fittings. Hi Kayes, is it possible they want to restore it back to Rest House or maybe another hotel is coming up?